Paul Schrader meets Roy Andersson in this fantastically artful fable that examines what it really means to save the world. An artful fable that examines what it really means to save the world, Benedikt Erlingsson’s “Woman at War” is the rarest of things: A crowd-pleaser about climate change. Combining Paul Schrader’s dire urgency with Roy Andersson’s droll brand of despair — to cite two other filmmakers whose work has wrestled with the maddening, quixotic idea of a single person trying to redeem an entire planet — Erlingsson has created a winsome knickknack of a movie that manages to reframe the 21st century’s signature crisis in a way that makes room for real heroism. Halla (Halldora Geirharosdottir) is a 50-year-old choir director with a song in her heart, a smile on her face, and a second life as Reykjavik’s peskiest eco-terrorist. 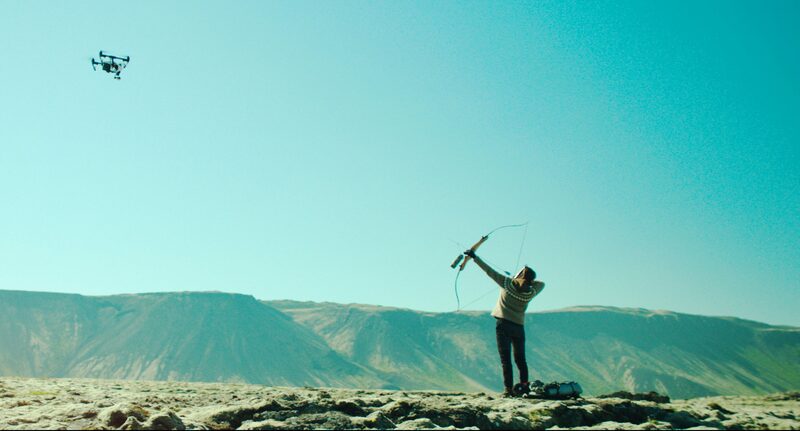 The film’s playful and surprising prologue introduces us to Halla as she uses her bow-and-arrow to topple some of the power lines that stretch across the yellow-green fields of the Icelandic highlands. This, we learn, is the fifth time she’s tried to exact some vigilante justice against the massive Rio Tinto aluminum plant that’s poisoning her homeland, and perhaps that explains why Halla is able to elude the authorities like she’s Ethan Hunt (in its own, small-scale way, one shot of Geirharosdottir hiding from a low-flying helicopter is as heart-in-your-throat, how-the-hell-did-they-do-that exciting as anything in “Mission: Impossible — Fallout”). It also explains why the authorities are starting to lose patience, much to the chagrin of the random and relatively dark-skinned Spanish tourist (Juan Camillo Roman Estrada) who the local police throw in jail whenever Halla strikes. But the growing frustration with her extracurricular activism is only galvanizing Halla’s efforts; when foreign governments declare their intention to further exploit Iceland’s resources, she’s compelled to make an even bigger show of resistance. And then — as Halla watches the news in front of the massive Nelson Mandela and Mahatma Gandhi portraits that are festooned along the rear wall of her living room — she gets a phone call that has the power to change everything. Her four-year-old application to adopt a Ukrainian child has finally been approved. This is the realization of a dream that’s been long-deferred but never forgotten, as Halla’s activism is suddenly veiled by the loneliness of someone who couldn’t find a less futile way to defend the future. The stoic mania of Geirharosdottir’s single-minded performance is never more endearing than in the scene where she digs out an old crib from her garage and unpacks some air-sealed baby clothes that have been suffocating ever since she bought them. Halla is dying to be a mother, but she’ll never be able to do that from jail. Her solution? One last job — an enduring reminder that her small country isn’t ready to surrender. Not only does Erlingsson return to the bemused absurdism he baked into 2013’s “Of Horses and Men,” he cranks it up to 11, and complements it with the kind of conventional indie plotting that can weaponize even trace amounts of quirk into something toxic. That should be a recipe for disaster, and yet the movie works because Erlingsson’s script (co-written with Ólafur Egill Egilsson) never overplays its hand, and because its kookiness reflects the starry-eyed impracticality of Halla’s mission. “Woman at War” is vaguely unreal from the very beginning, not only because of Bergsteinn Björgúlfsson’s hyper-saturated cinematography, but also because of what his camera stumbles upon in the first scene. As Halla runs for cover in the countryside, a slow pan reveals that the ominous squelches we hear over the soundtrack are actually coming from a three-piece band who are standing in a field behind the film’s heroine and looking every bit as confused as we are. Along with a trio of Ukrainian folk singers, these musicians show up in the background throughout the film, invisible to the world but often standing mere inches away from Halla as they express the conflicting rhythms inside her mind and give shape to the idea that her activism is somehow tethered to a world of strangers who are just beyond her reach. That population includes her twin sister, a dippy yoga instructor (also played by Geirharosdottir) whose inner peace reflects Halla’s outer panic. 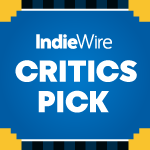 These bizarre — and borderline twee — flourishes collect into a charming movie that strives to articulate the disconnect between personal anxieties and global cataclysms. Half the fun of Erlingsson’s direction is in how it delineates the relationship between Halla and her environment; how his subjective camera shows Halla to be a woman in the thrall of a war that she seems to be fighting all by herself. Many of the film’s most amusing compositions hinge on (and/or undercut) the idea that Halla feels attacked by the world around her. One especially clever sequence follows the anguished heroine as she runs down a residential street on which corporate-sponsored news reports about the upside of industrialization are blaring out of every house. Pregnant, faceless women rub their bellies as they blithely tune out pro-doomsday propaganda. Everyone is listening in, but not really hearing anything. It’s like Halla is stuck in a diorama of her own personal hell. Erlingsson also brings that same rigid stylization to the more serious, action-oriented scenes that dominate the last part of the movie. Evocative images of Halla trying to disguise her tracks in upsettingly desperate ways are used to compensate for a third act that sidelines the film’s most pressing questions in favor of pure suspense. Erlingsson has the chops to pull it off, but it’s frustrating how little he forces Halla to engage with her character’s defining choice in a film that refuses to pass judgement about the most responsible way for its heroine to address an imperiled future. It isn’t until the astonishing final shot that Halla finally reckons with the idea that she won’t be able to save the world by herself. By the end of “Woman at War,” it’s hard to imagine a more beautiful thought. “Woman at War” is now playing in theaters via Magnolia Pictures.